Why not to have an imprint of a foot or hand? 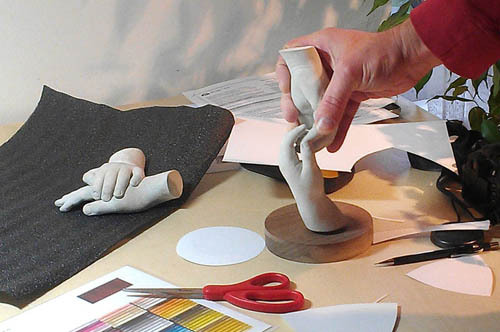 Or preserve the memory of those little fingers in even more realistic way as a sculpture? 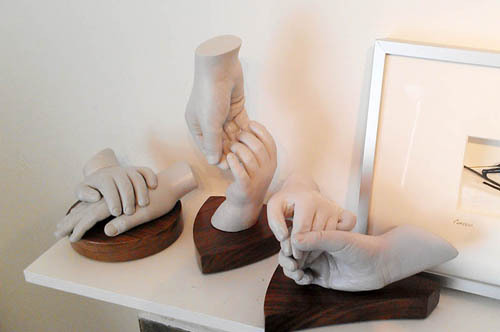 Sometimes the casting could also capture the strength of relationship - check the pictures of casting of brothers' hands. The casting material is safe to be used for any part of the body. 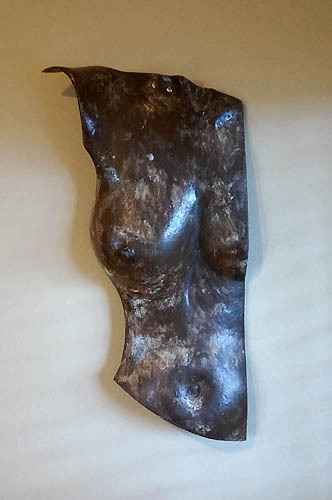 The finished product could be done in plaster, fiberglass, or bronze. or email bartadesign@yahoo.com for more info.